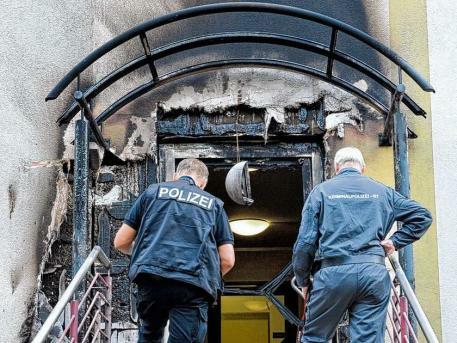 July 14, 2011 - A police station in Berlin was hit yesterday by firebombs. A slogan in remembrance of Carlo Giuliani was spraypainted on a wall of the police station. The police station in a northern district of Berlin is from the Landeskriminalamt (LKA). The two entrance doors have been hit by incendiary devices which destroyed the entrances. 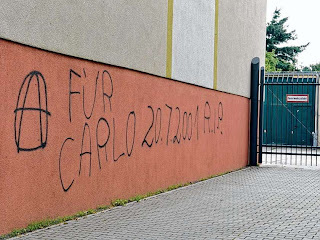 On the wall of the police station was a slogan spraypainted for Carlo Giuliani.